The hip flasks, which also double as bangles, were made popular by Gwyneth Paltrow. They are a very distinctive gift, and so unusual that your recipient is sure to be delighted by it. Not only are they stylish and distinctive, but they can also safely hold spirits for a night out. - Suitable for alcoholic spirits. 100ml capacity (that's four shots). - Beatiful rose gold colour. Made of stainless steel for durability. - Internal Diameter 70mm. Please check that this will fit your wrist. 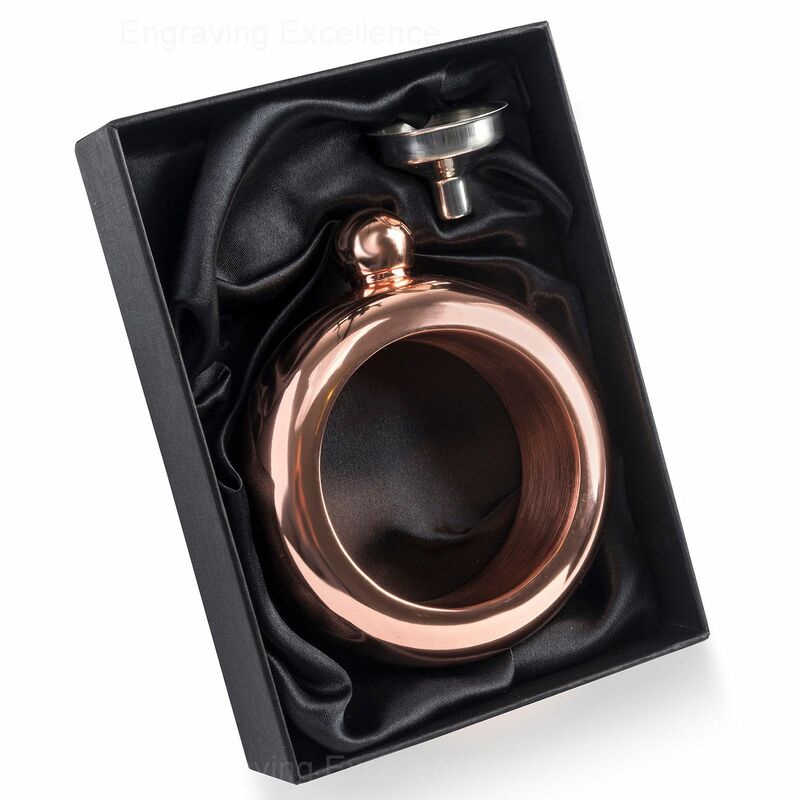 On this flask we can only engrave up to 4 initials, on the outside edge of the flask, at the base (that is, opposite side to the neck). 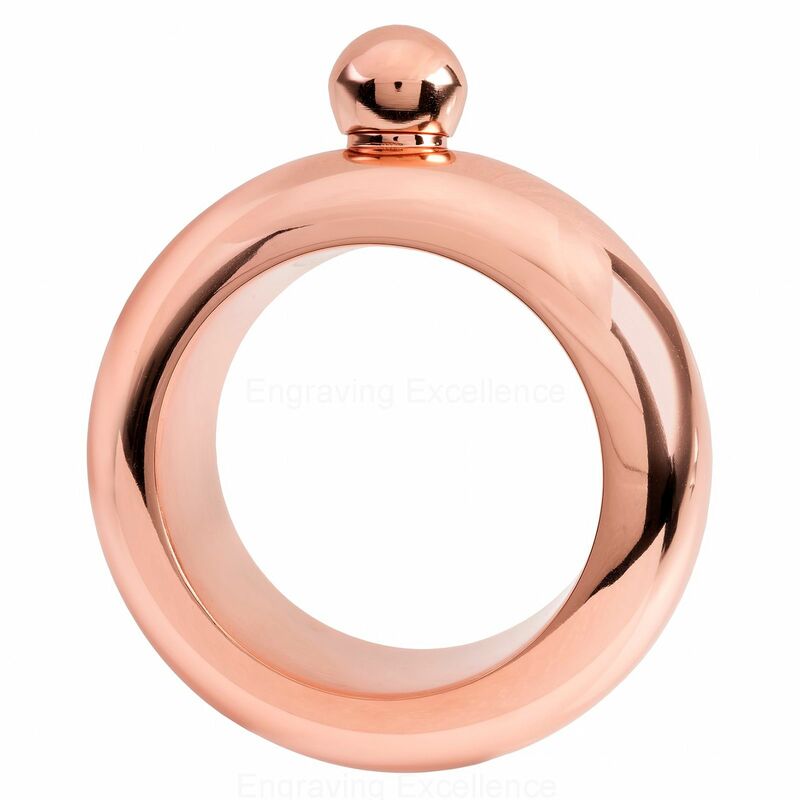 Due to the shape it is impossible for us to engrave any more than 4 characters.